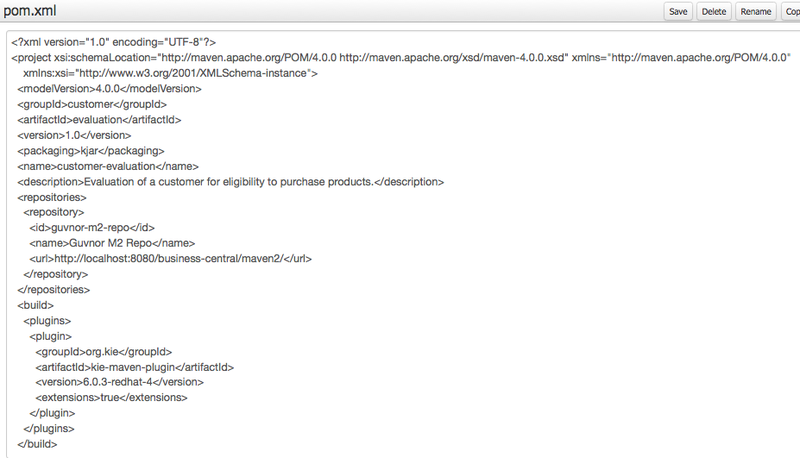 01 # Add repositories and plugins for maven central to the pom.xml. 36 # Add the dependencies needed. 53 # Now you can build it in your IDE. 63 [WARNING] Using platform encoding (UTF-8 actually) to copy filtered resources, i.e. build is platform dependent! 67 [INFO] Changes detected - recompiling the module! 68 [WARNING] File encoding has not been set, using platform encoding UTF-8, i.e. build is platform dependent! 72 SLF4J: Failed to load class "org.slf4j.impl.StaticLoggerBinder". 74 SLF4J: See http://www.slf4j.org/codes.html#StaticLoggerBinder for further details. 75 [INFO] KieModule successfully built! 81 [INFO] No tests to run.